When’s the best time to visit Brighton? Well, biased as we are, we’d say the city offers something for everyone all year round. Those visiting the city in summer can relax on the beach with a 99 ice cream and winter lovers can enjoy days spent getting cosy in front of a pub fire. 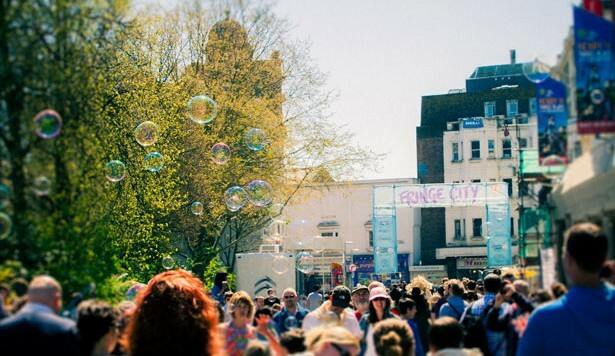 But for the more discerning visitor, every year Brighton is chock-a-bloc with festivals, parties and events; here is a handful of the city’s best annual events if you’re looking for the best of Brighton. Taking place every year is the highly anticipated Brighton Marathon. This event sees professional runners take their place next to amateurs and raise money for a number of charities. You can join in the gruelling run or cheer on the runners as they race around the city. Next year’s race is taking place from the 7-9th April. 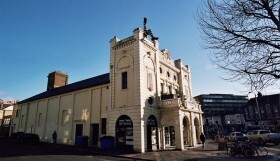 Brighton Fringe is a hugely diverse art festival held every year in May. This year saw 932 shows covering everything from comedy to cabaret, theatre to music. This is the biggest fringe festival in England (behind Edinburgh of course) and arguably Brighton’s biggest event and a great way to see fresh talent particularly from the Brighton and Hove area. Next year’s event runs from May 5th– June 4th. Catering to the more cerebral, Brighton Festival takes place over a three week period in May every year and sees a selection of music, theatre, dance, circus, art, film, literature and debates throughout the city. Be sure to catch this unmissable festival from 6-28 May 2017. May finishes its relentless culture attack with Great Escape Festival. With over 450 musicians and bands showcased at this year’s event across 30 different venues throughout the city, the festival is a music lover’s dream capturing a range of musical tastes and genres. Next year’s event takes place 18-20 May. 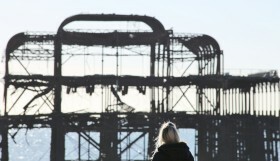 Every year from June to July, Brighton beach becomes home to Brighton’s Big Screen. Big Screen sees a massive 40sqm outdoor cinema screen erected, projecting the latest blockbuster films, cult classics and top football matches. So pack your picnic blanket, stock up on popcorn and usher your friends and family down to the beach for memorable summer evenings. Europe’s oldest charity cycling event, the London To Brighton Bike Ride was established 41 years ago and annually raises an incredible amount of money for the British Heart Foundation. Since the first race in 1975, over 800,000 cyclists across the UK have taken part and cycled more than 40 million miles. It’s open to all but also great just to watch and cheer the cyclists on. Next year’s event takes place on 18th June. The Kemp Town Carnival has blossomed from a small fete into one of the South Coast’s biggest carnivals. 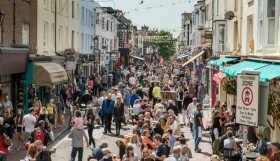 With colourful performers, dancers and local traders taking to the streets, Kemptown is transformed into Brighton’s very own ‘Nottinghill by the sea’ with music stages dotted around and plenty for everyone to enjoy of all ages. Paddle Round The Pier sees kayaks, lilos and, well pretty much anything floatable, take to the water to race around the remains of the old West pier. The event, now one of the world’s largest free charity beach festivals sees an average of over 50,000 visitors a year. Along with the main attraction, there are a variety of water based activities as well as pop up bars, restaurants and a theatre. Next year’s event runs July 1st-2nd . Brighton Pride is famous across the UK and one of the biggest pride events in the whole country. Pride is held to promote equality, eliminate discrimination and celebrate the LGBT community. A massive, lively parade heads through Brighton city centre to the main festival area in Preston Park but Pride can be enjoyed anywhere as for one day the whole city becomes one giant party! The Thai Festival is a two day event immersing visitors in all things Thai from amazing food, arts and crafts, Muay Thai (Thai booking) to lady boy shows. 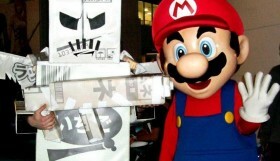 If technology is more your thing be sure to catch the Brighton Digital Festival. Celebrating all things digital and technological, this is THE event for lovers of future technology or anyone working in tech and digital. Running from 1-30 September, there is plenty of time to head down and put on your creative hat. Bonham’s London to Brighton Veteran Car Run is the world’s longest running motoring event dating back to 1896. Participants drive their pre-1905 vehicles 60 miles from Hyde park to the windy shores of Brighton. If you find yourself in Brighton on the 6th November, head down to Madeira drive to see the splendid cars in all their glory. Taking place twice a year, once in May and again in December, Artists Open Houses sees artists and makers opening their houses and studios to the public, giving art lovers the chance to browse and buy original and rare art pieces. This year’s winter festival will take place from November 26 – December 11. The ultimate way to celebrate winter in style is at the Royal Pavilion Ice Rink. Skate beneath the imperious Pavilion before heading to the Rinkside bar and kitchen to warm up and enjoy hot snacks and tasty hot chocolate and marshmallows. Burning The Clocks sees residents throughout the city come together to mark the shortest day of the year. A lantern parade starts at New Road before ending at Maderia Drive, where the lanterns are thrown into a beachside bonfire and the fireworks begin. Not one to miss, we recommend you find yourself at New Road by 18:30 on December 21st. See you there! Charlotte Johnson Journalism Graduate, Global traveller and part-time freelance Journalist who enjoys writing and sharing about incredible places and experiences.